In my previous post I talked about the GlamGlow Supermud mask – the best mask to deep clean your pores to give you clearer and brighter skin. What if you are not quite there yet? 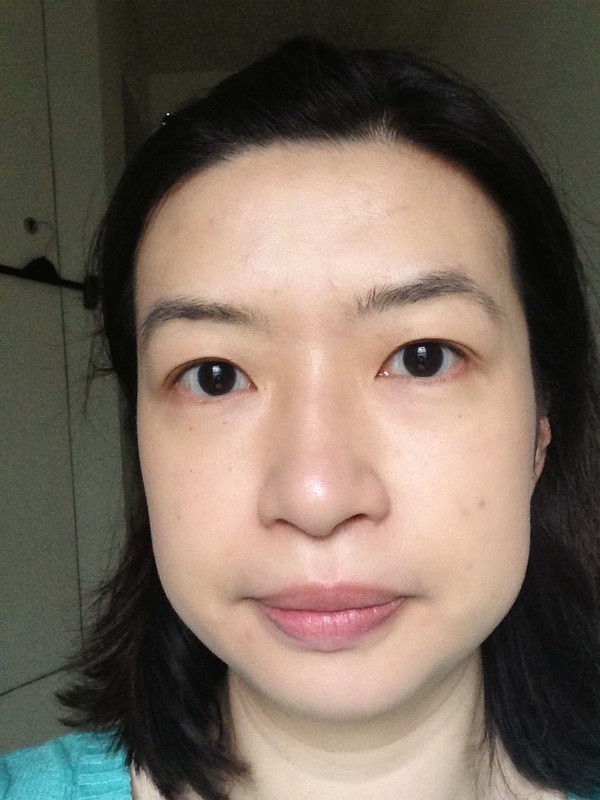 I have an answer for you to cheat for a good skin day – it is my new favourite – Tarte Amazonian Clay Airbrush Foundation. 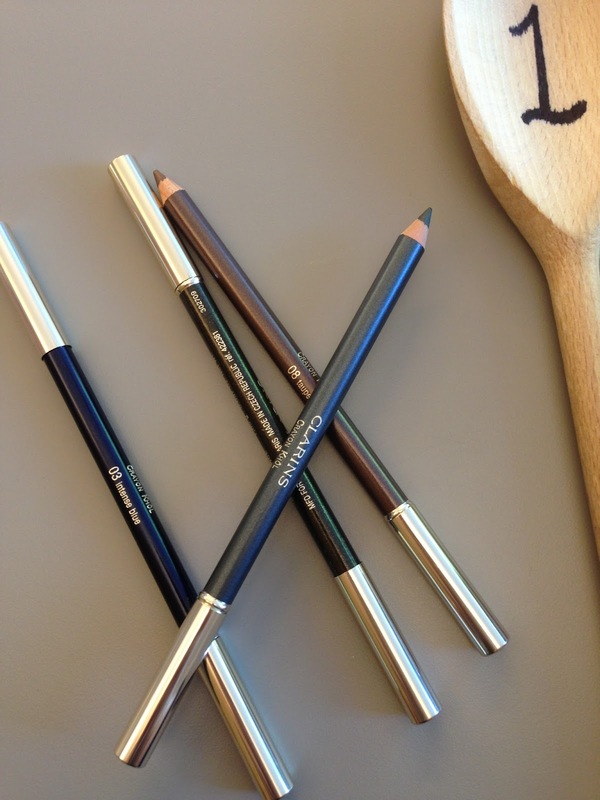 I got mine from Sephora online (check out what else I bought -> here). Yes, you can now also get Tarte’s products from QVC UK, but I found the shades available are very limited. All the shades have a handy description to their colours and undertones, which make it so easy to choose the right shades online. 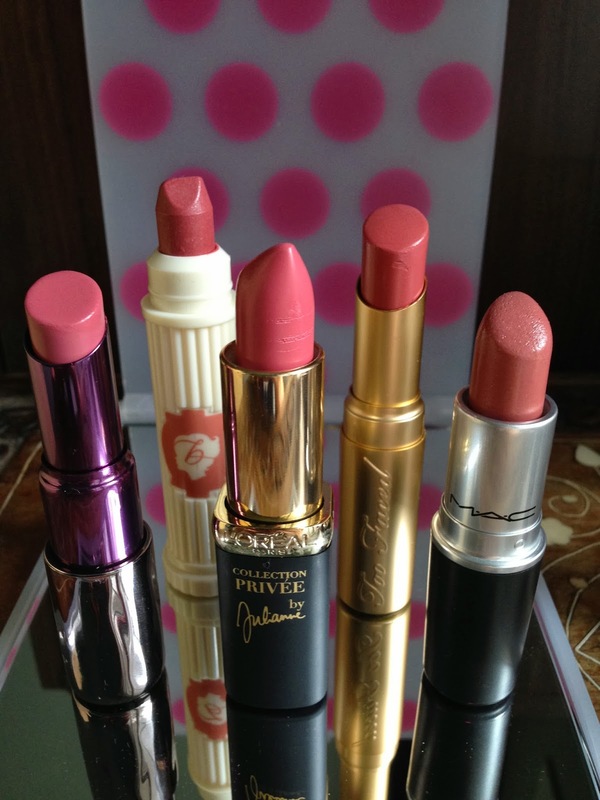 I picked the shade Fair-Light neutral (fair to light skin with yellow & pink undertone), which is perfect for my colour. I also bought the matching Airbuki brush for application. On Sephora website, foundation and brush are sold separately, whereas in QVC UK, they are sold as a set. On the whole, it is cheaper to get from QVC UK (£34.00+P&P), but that is if you happened to suit their limited shades available. Otherwise you have to go for the more expensive route to order from Sephora.com (£39+Tax+Shipping). 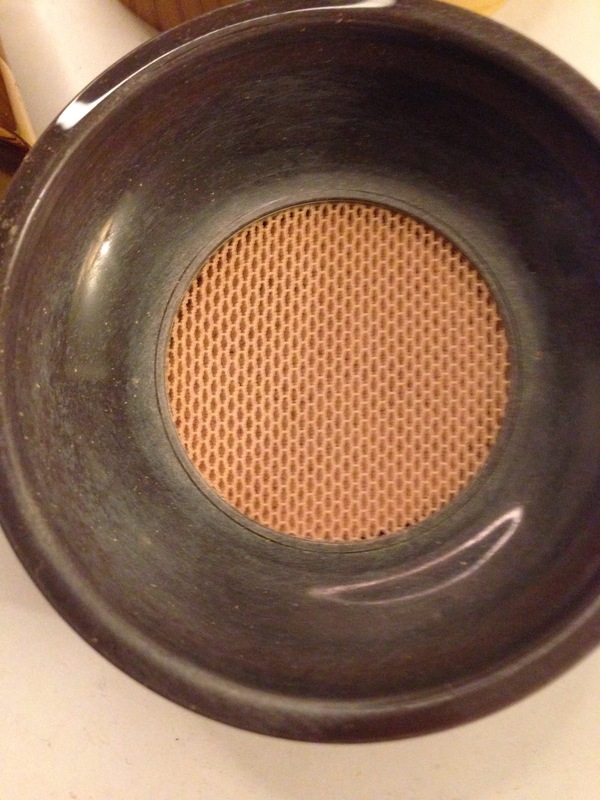 The packaging of the pot is really nice in the sense that instead of a sift (which the loose powder will still fly everywhere), Tarte mineral foundation has a mesh net opening, which is very effective in keeping the power neat inside the pot. 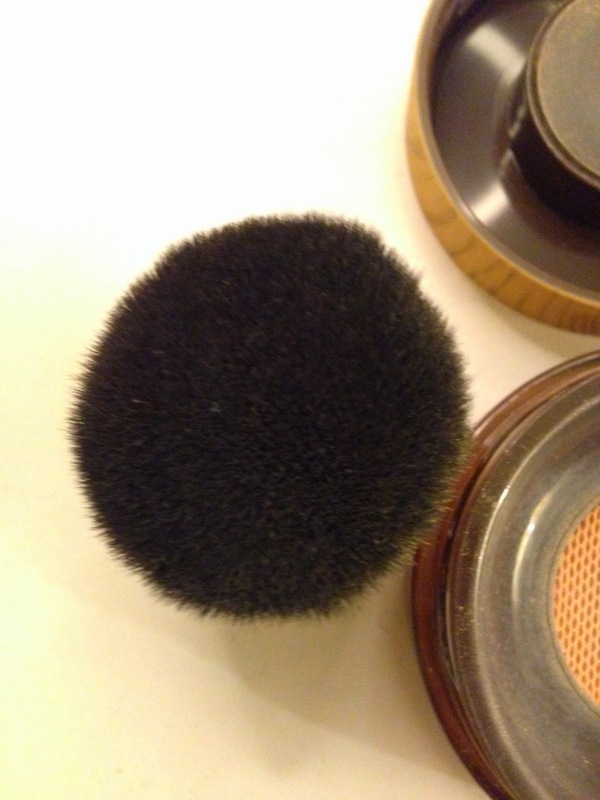 I use the Airbuki brush to gently push down the mesh net to get some product onto the brush, dab onto my skin then start using circular motions to buff the foundation in. I repeat the same process until I am happy with the coverage. 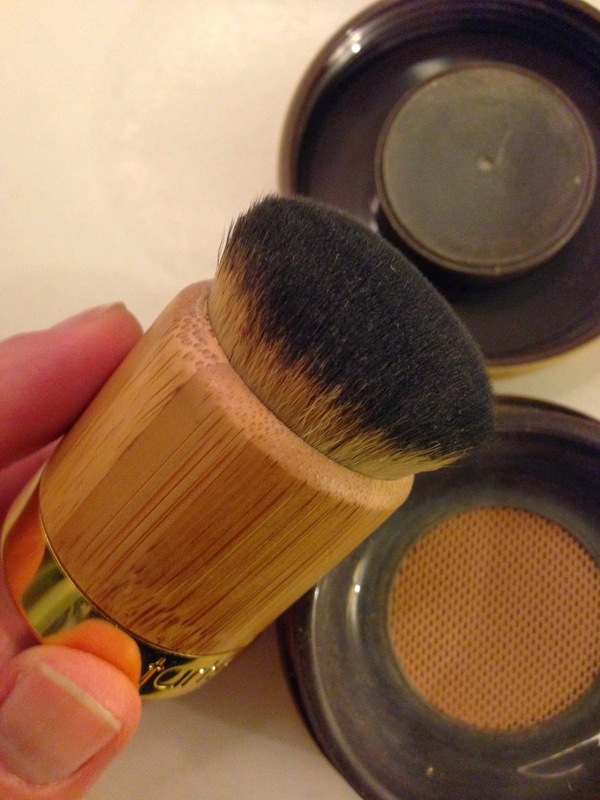 You can leave it quite light (like I did), or you can take more time to build up to a fuller coverage. I just applied a quick thin layer, as you can see it has already even out my skin tone with limited imperfections showing through. 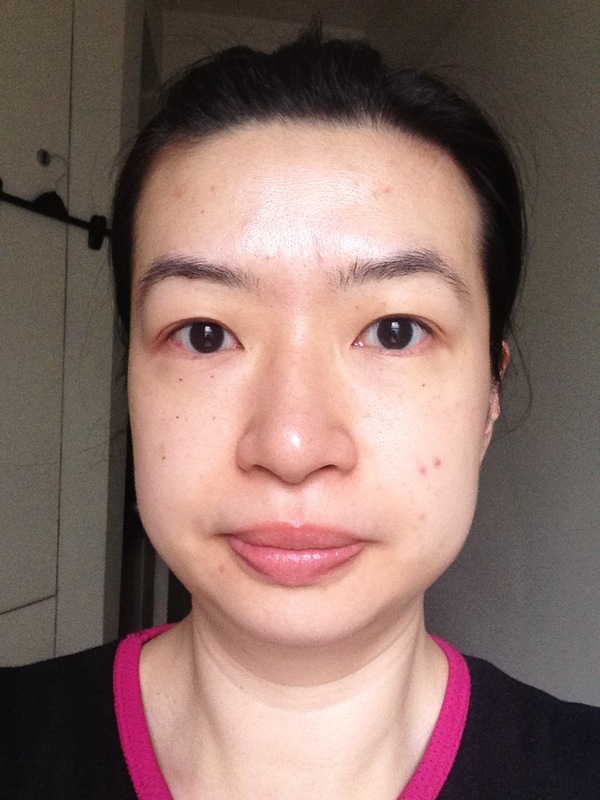 The aim here is to look like my own skin that I don’t have any foundation on (which it DOES feel like I am wearing nothing! I mean foundation), just like I am having a “good skin day”. I like to use it as a weekend makeup, “too flawless” will look a bit fake. 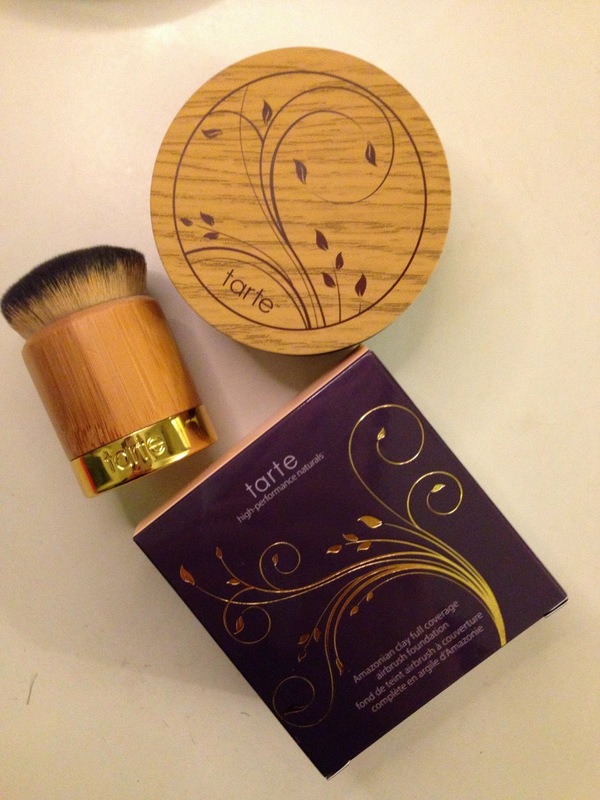 If you like Bare Minerals foundation, you will love this even more, the quality of Tarte powder is a step up! 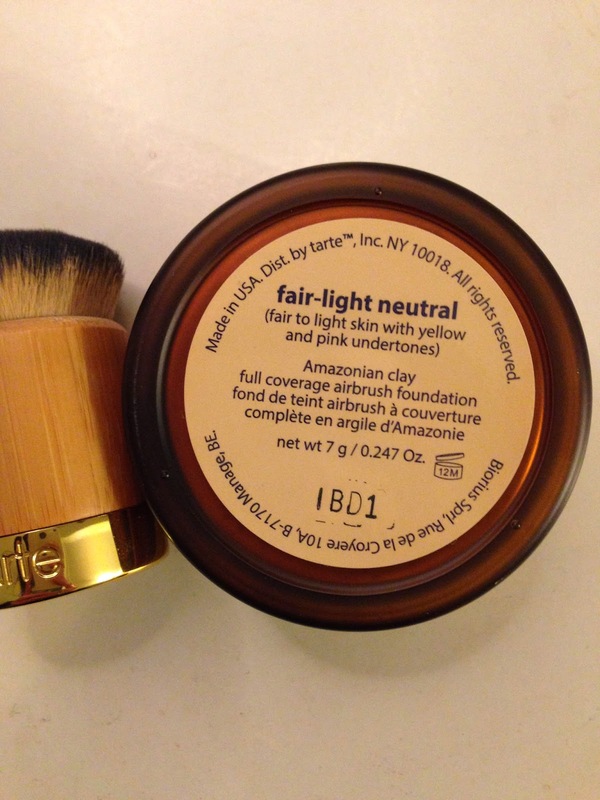 Even if you are new to mineral foundation, this is a great start up too! 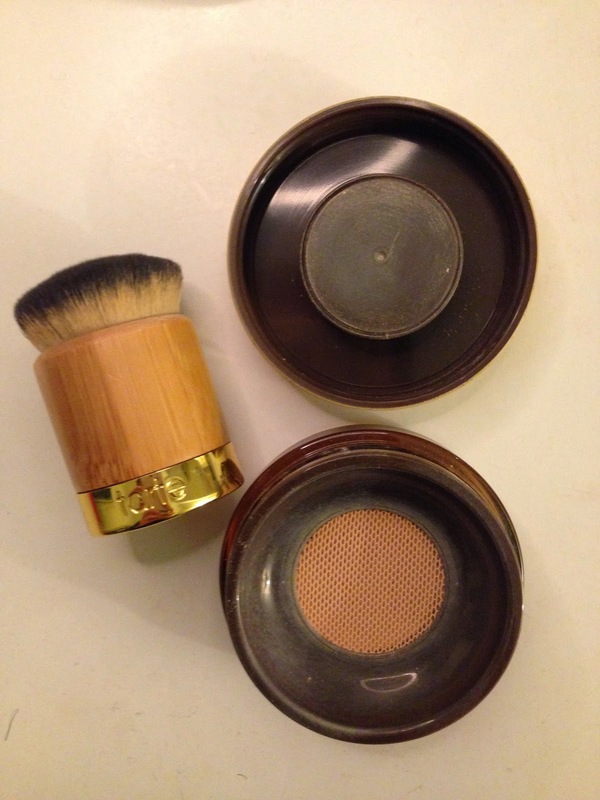 Because it is so easy to apply, you can’t go over with it, it is a fool-proof mineral foundation.